Taylor, 11, and Morgan, 9, Bush has been missing since Oct. 26. They were last seen with their mother Samantha Elmer in Smithville, MO. Josh Bush the sister’s dad called the police on Oct. 29 and the police checked their Lawrence home but did not find them there. Bush learned that Elmer had rented a car in Kansas City, drove to Chicago and got her daughters passports without Josh’s consent. They boarded a plan for a round-trip to Turkey, then Austria. They were suppose to come back but they never boarded the plane. 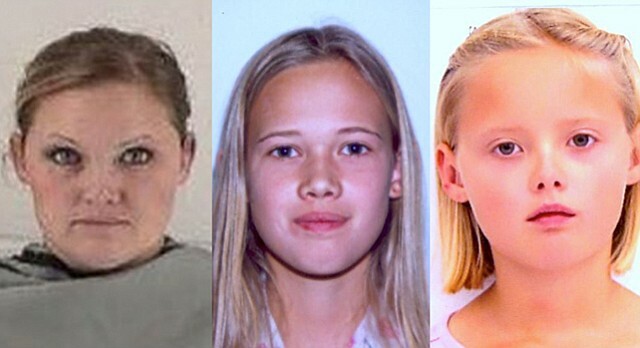 Currently the sisters are profiled on Interpol and the Lawrence police are seeking a warrant for aggravated interference with parental custody. Currently Elmer has not been charged with any crimes, but the Douglas County district attorney is reviewing the case. Taylor has blonde hair and blue eyes, is approximately 4 feet tall and weighs about 75 pounds. She has a scar on her right knee and forearm. Morgan has blonde hair and green eyes, is 3 feet, 6 inches tall and weighs about 65 pounds. She may be wearing glasses. Elmer has blonde hair and blue eyes, is 5 feet 7 inches tall and weighs approximately 160 pounds. Elmer was a baker who owned The Elm Bakery in Cleveland before she moved to Eudora in August.